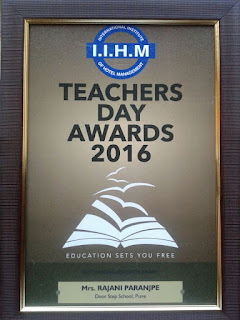 Mrs. Rajani Paranjpe, Founder of Door Step School received 'Outstanding Educator Award' from International Institute of Hotel Management (IIHM), Pune on occasion of Teachers' Day 2016! We believe this award belongs to Rajanitai and the hundreds of teachers fighting all odds to educate children from marginalized communities across Pune. 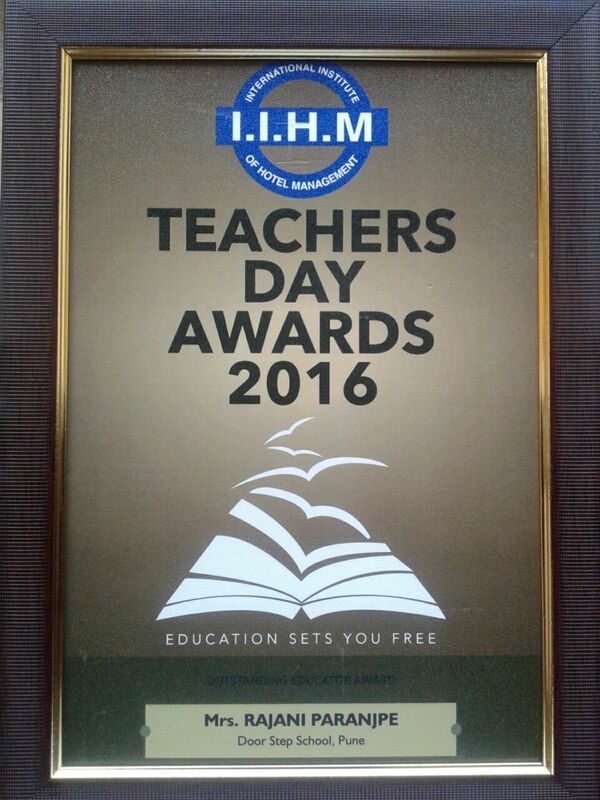 Thanks IIHM for recognizing the efforts and appreciating the hard work.